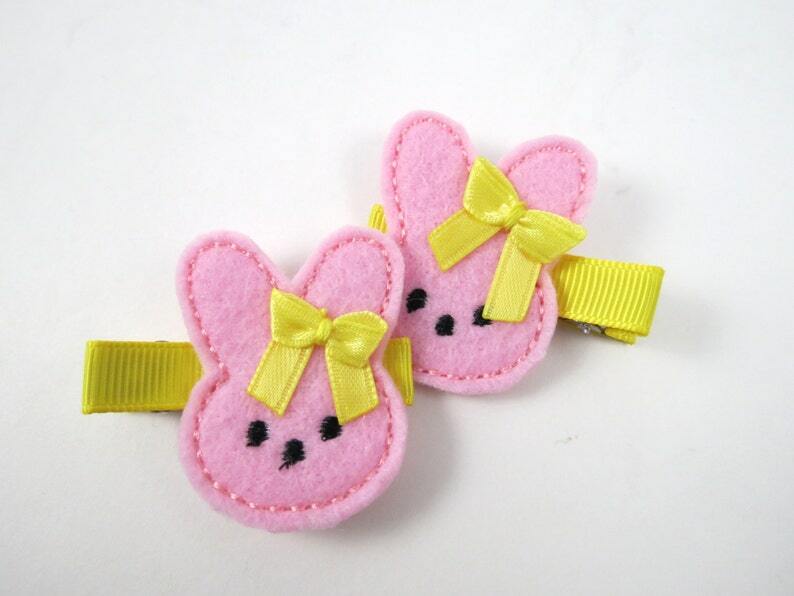 A simply adorable and oh so sweet small Pink & Yellow Easter Bunny Hair Clips! 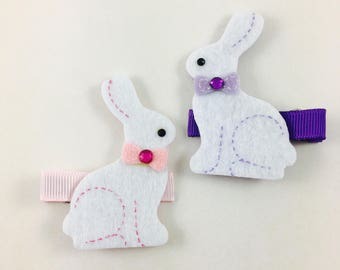 Great everyday Hair Clips for the Easter Holiday! 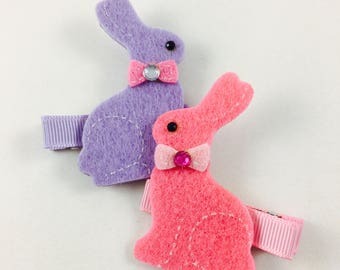 Hair clips can be used to hold back bangs, small amounts of hair around pony tails, for little ones that are just beginning to wear Hair Pretties or for pigtails! Perfect size for all ages! This hair clip is made from a ribbon lined alligator clip and felt embellishment with tiny ribbon bow accent. Clips measure approximately 1.75" X 1.75" each.